Conforms to device shape fit all over coverage. It is features a built-in collapsible stand for two main modes viewing and typing. It is protective polycarbonate camera flash ring. 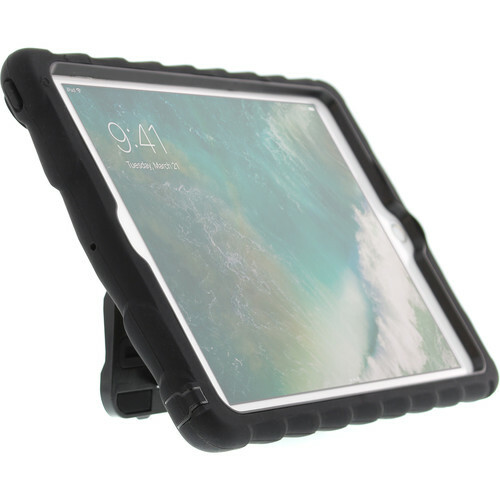 It is featuring a ruggedized silicone case for protective coverage in all the right places. Includes integrated screen cover and ruggedized polycarbonate frame. Reinforced rubber bumpers on bottom corners. Box Dimensions (LxWxH) 11.1 x 8.7 x 1.0"
Hideaway Case for Apple iPad 9.7" (Black) is rated 5.0 out of 5 by 1.